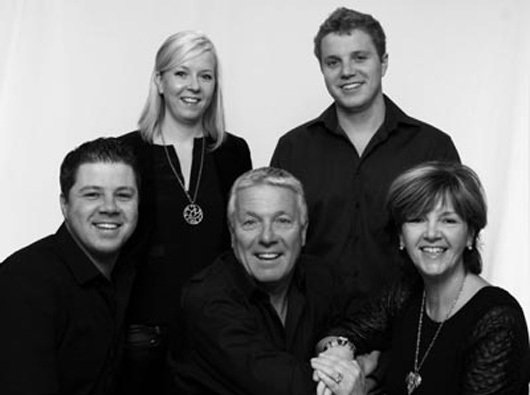 Dendor Fine Homes LTD is a family owned and operated Canadian Company established more than a decade ago by Roger and Julie Jackson and their eldest son Mark. Originating from Rogers late parents (Denis and Doreen) Dendor continues to grow now employing their daughter Helen and youngest son Thomas. The Jackson Family emigrated from England in the late 1990’s and chose to settle in Simcoe County where growth was a key factor. Roots of construction stem back to the 50’s when Roger’s grandfather started the family business. Rogers father Denis continued the business until his retirement. The Company Motto ‘Discover The Difference’ lends itself to their practice of taking each home they build very personally. Efficient and organized Dendor’s team of professionals can help you develop a fitting reflection of your success and good taste. ‘To envision something in your mind takes great imagination. To convey that image to paper takes great talent. Dendor Fine Homes is a Tarion registered builder. Tarion has been protecting new home buyers in Ontario for over 30 years. For more information about Tarion, please visit their website: www.tarion.com. Dendor works with an imaginative designer producing prestigiously designed homes, each one individual and suited to the homeowner. Architectural controls ensures your investment is protected, and while working closely with the Dendor team ensuring unsurpassed quality in all phases of the build. Dendor’s Custom Homes have endless possibilities. Below is a snap shot of our standards.